Just Released February 27, 2019! "You'll Be Fine, Beautiful. You've Got God." We can't possibly know how we will react or respond in an unexpected situation, but we do know how God will react and respond: He will be there, and He will be enough. YOU'LL BE FINE, BEAUTIFUL. 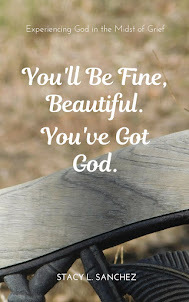 YOU'VE GOT GOD is a personal account of the faithfulness of God. Page after page, the author not only invites us in to the days, months, and years following the death of her husband, but also invites us to see the hand of God so beautifully evident in every moment. Through the overwhelming sorrow, God is there. Through the missing and the loneliness, God is there. Through the uncertainty, God is there. Through the needs and wants, God is there. Through the struggle, God is there. Through the tears, God is there. Through the moving forward, God is there. In her typical fashion, the author opens her heart wide so the faithfulness of God can be seen in full color. YOU'LL BE FINE, BEAUTIFUL. YOU'VE GOT GOD is a precious walk through the season of grief in the light of our God who is faithful to walk this walk with us. It is the desire of my heart that God will use this book to do for others what He has done for me. That through each word, each reflection, hurting hearts will be encourage to look up to Jesus, to reach out to Him, and in so doing find all they need in and through Him. YOU'LL BE FINE, BEAUTIFUL. 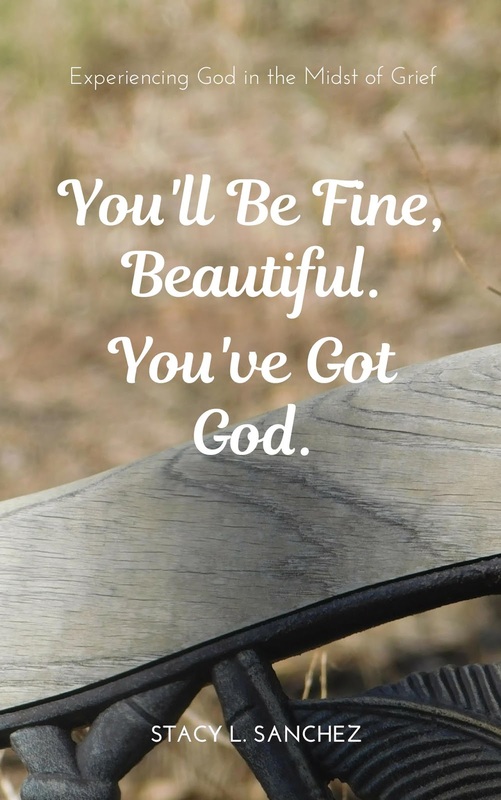 YOU'VE GOT GOD. To read a review by Miriam Jacob, click HERE. Grief is not a broken part of our life we need to somehow fix. It is not a situation we need to find a solution to or an answer for. Grief is an all-consuming, all-encompassing journey of loving, missing, and living beyond. It is a re-learning of how to live - still, in the midst of incredible loss, overwhelming sorrow, and the relentless cry of our heart, "if only I could . . ". 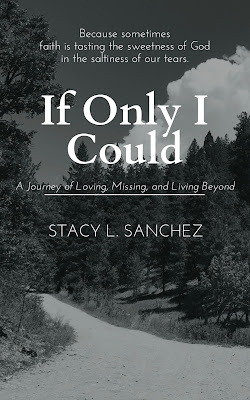 Raw, intimate, honest, and profound - IF ONLY I COULD - is a poignant, personal journey through grief. While we each grieve differently, there is no doubt your heart will instantly feel at home here - knowing it is understand and finding gentle encouragement through every page of this book. This is my walk through grief after losing my husband to a heart attack in February, 2016. I remember moments after he was gone, lying my head on his chest and promising him and God, I would "make it count". I know the Holy Spirit prompted me to say such a promise at such a moment at this because it is this promise that has kept me going, kept me getting me out of bed every morning, kept me pressing onward and forward. And now, it is this promise that has me announcing this book to you. Only God! To say this book is precious to my heart is an understatement. I pray all who read the words written here will find a place of comfort and rest, safe in the company of one who is walking the same journey of loving, missing, and living beyond. Most of all, though, I pray all who read the words written here will find a place of peace, strength and hope in the ever-present faithfulness of our God. To read a review by Miriam Jacob, VISIT HERE.